Pass the Pigs & Pass the Pigs Party – Brilliant family games! It took me to adulthood to realise that my dad never ever played games. He is not a board game person. This does not change my fond memories of playing board games at Christmas with the family and one of my very favourites was Pass the Pigs. Essentially you throw your duo of little pigs as you would dice, and you get scored on how they land; will you get a sider, pig out or perhaps start makin’ bacon (oo-er)? In the classic version, you take it in turns for each person to throw and the first person to reach 100 points wins the game. 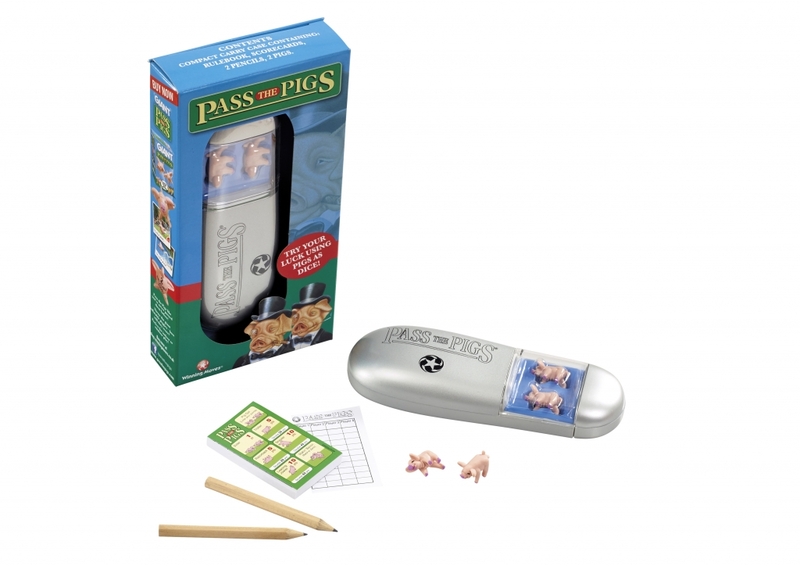 It is designed for 2-6 players, and makes a fantastic little travel game as it comes with a case, two pigs, score card and pencils. In fact fondly recall my sister and I used to play it for many hours, trying to score an elusive Double Leaning Jowler which would land you 60 sweet, sweet piggin’ points. You can buy the classic Pass the Pigs game for £9.99 from good toyshops and Amazon here, and it’s suitable for ages 3+ so is definitely something we will be getting out to play with the kids this Christmas. 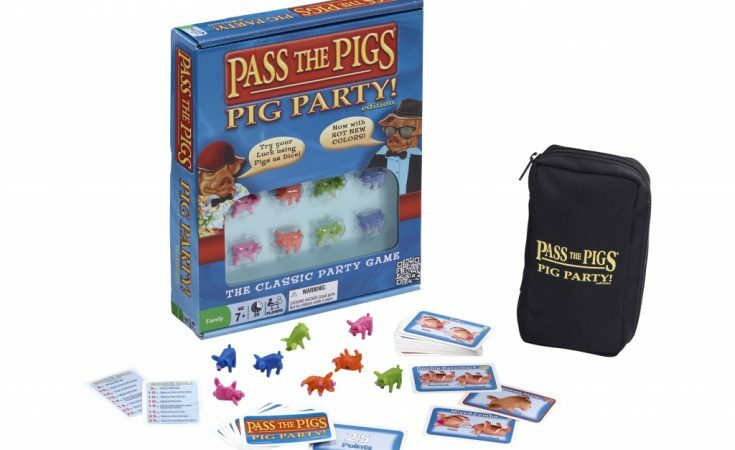 Pass the Pigs Party retails at £14.99 and can be bought from good toyshops and Amazon here. For more information on Pass the Pigs, see their website here or visit them on Facebook here. Looking for inspiration for Christmas gifts? Check out my Toys and Games section! Junior Scrabble as everyone can join in and we give extra points for Christmas related words! Cards! We sit at the table and play card games like chase the ace, stop the bus and when the kids have gone to bed…. A bit of blackjack! We like to play cluedo! We play monopoly and or scrabble either on creates lot of noise. We play snakes and ladders. Snakes and Ladders and Monopoly are our two favourite Christmas games. Has to be monopoly we love playing that game all year round and each Christmas we get a new monopoly game. Charades and PayDay – Charades is fun when you’ve got 2 young kids who make stuff up as they go along. We have a few, but if I had to pick I would choose scrabble, thanks.